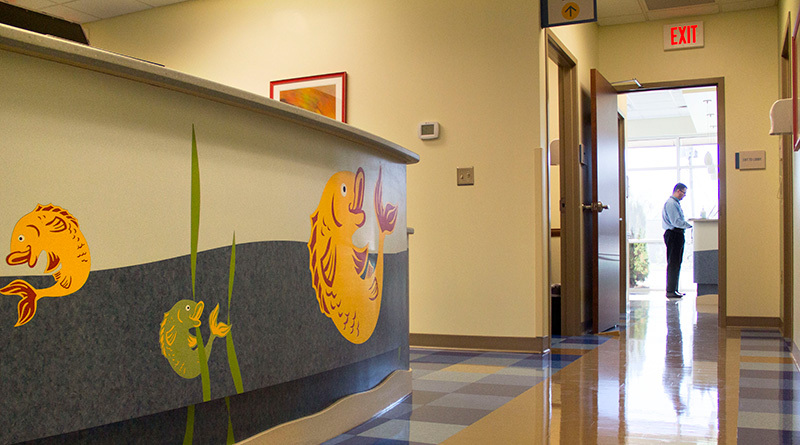 As we walk the halls of our hospital and clinics, we see countless compassionate interactions and dedicated attention to the needs of children and families who present to us with every possible condition. Each day, we work to fulfill the vision of Ann and Monroe Carell Jr. and their family to provide a specialized experience for children in what is often a time of crisis, great anxiety and uncertainty for families. As the region’s only comprehensive pediatric health care provider, we offer hope through our innovative clinical programs, our commitment to discovery research and our teaching of the next generation of pediatric providers. Long before we opened the doors of the freestanding hospital, we focused on providing patient- and family-centered care. We strive each day to personalize the care each patient and family needs to optimize treatments, heal holistically, and support as much of a normal life experience as possible during a difficult and sometimes prolonged period of time. One might say that ‘we provide the village to heal a child.’ We have many unique programs to achieve our goals, but we also have amazing community partners who support our ‘village’ of pediatric health care. Two such partners are the Ronald McDonald House (RMH) and Make-A-Wish (MAW). These organizations partner with our health care teams and social workers to ensure that families can remain close by (RMH) and realize special wishes as part of the care plan (MAW). These organizations help us extend our personalized care plans in meaningful ways to the families we serve. One program that reaches out to both organizations, because of the long-term nature of both treatment and family needs, is our Stem Cell Transplant Program—part of our nationally ranked cancer program. The expansion and innovation in this program is allowing a broader, more regional reach so that more children may receive stem cell transplantation as treatment for an increasing number of diseases. This program also exemplifies the bringing together of expertise across disciplines that distinguishes our pediatric health care system and that has resulted again in our hospital’s ranking in all 10 out of 10 pediatric specialties in the annual U.S. News and World Report Best Children’s Hospitals rankings. Six of our 10 programs ranked in the top 20 in the country. As we celebrate our programs’ successes and our community partnerships, we are also excited to begin the actual construction on our Growing to New Heights expansion of four floors. Our new floors will enable us to continue to develop high quality, innovative clinical and discovery programs to improve the health and well-being of the children in our community well into the future. We are so very grateful for our special community partners who support us every day as we provide hope to children and families as a ‘village’ of dedicated and outstanding employees and trainees.